If you are a hobbyist or if you are a professional technician, this is the place to find the perfect Carbide Drill Bit, Router or End Mill Bit. Single size, Variety, or Create Your Own Custom Set! 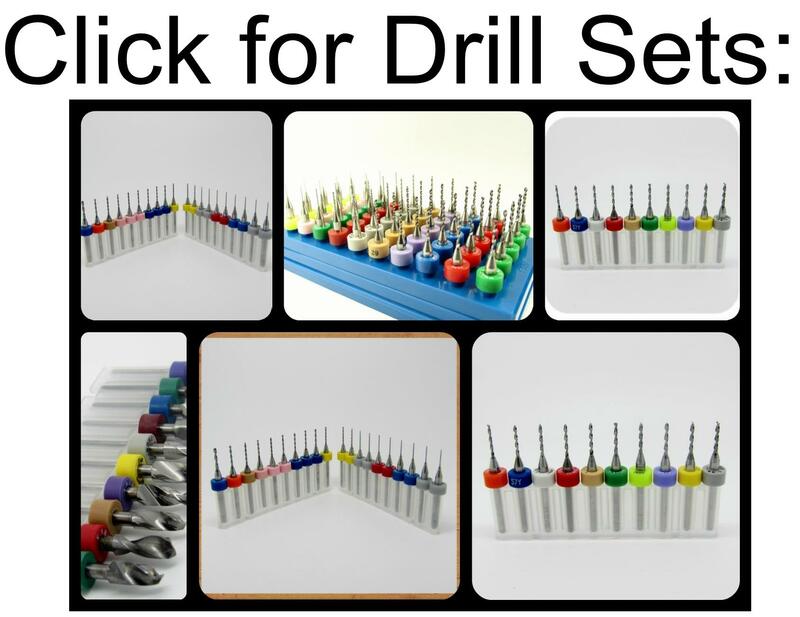 We make it inexpensive and easy to obtain your perfect bit or bit set. We offer the convienience of ready made sets consisting of popular sizes as well as single sized sets in 1-500+ piece quantites. 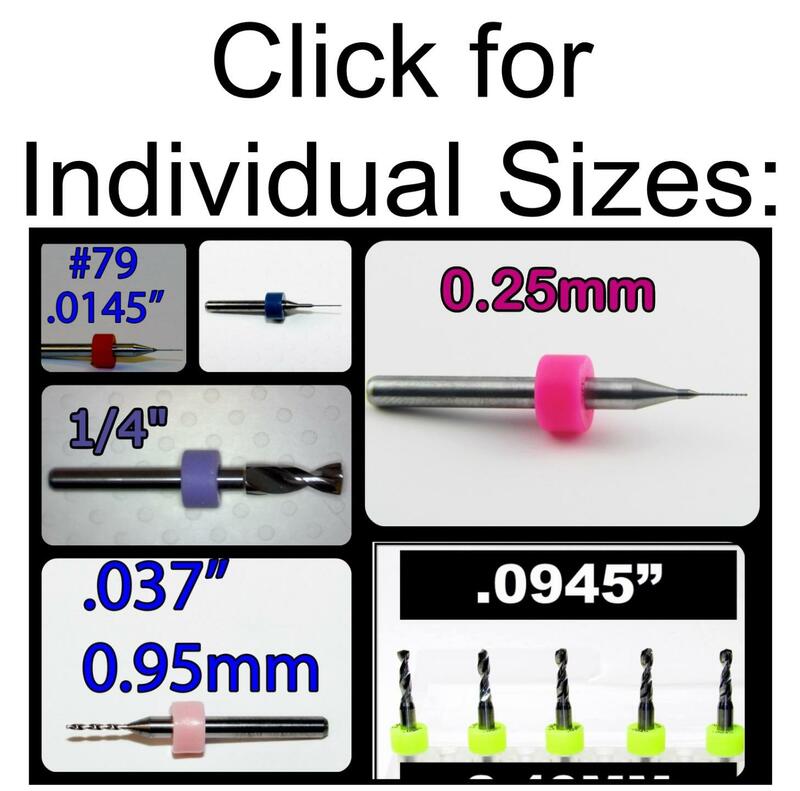 Create your own custom set by choosing from dozens of sizes and in the quantities you need! Quantity discounts abound so you are sure to find exactly what you are looking for at a great price with minimal effort. These multi-purpose bits can provide solutions for many business such as hobby supply, precision machining, CNC machining, engraving, wood working and (PCB) printed circuit board manufacturing. Our valued customers include model aircraft, model railroad, model ships, luthiers and musical instrument crafters, jewelers, watchmakers, circuit board fabricators, small engine repair and carb tuning, the list goes on and on! Our Drill, Router, and End Mill Bits are well-suited for all your critical machining applications. Premium quality , our tools are sourced from major manufacturers like Kyocera US, US Union Tool and we offer them at a large discount over hobby shop or online machinist supply store prices. Our factory resharpened drills offer the same quality and performance as new at terrific savings. And we source as many tools as possible from the USA. Please Browse our Selections of Top Quality Solid Carbide Cutting Tools. We look forward to serving you faithfully!